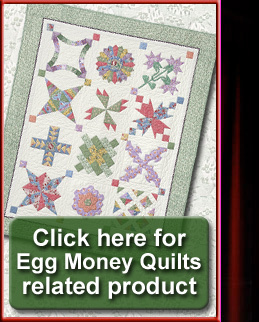 Eleanor takes you back to the 1930’s as she selects feed sack fabric to for a beautiful Egg Money Quilt in two layouts. Eleanor starts us off with Grandmother’s Flower Garden. You will delight in her quick new methods to make this old time favorite as a block or as a stylish purse.